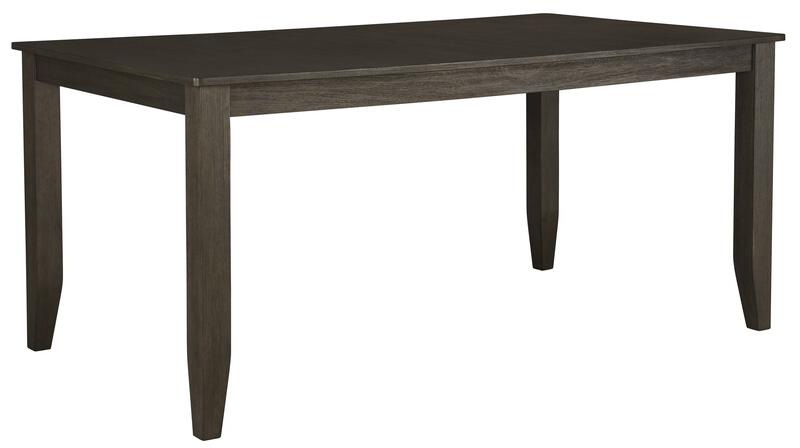 Sized to comfortably seat six diners, this dining table is a timeless style option. 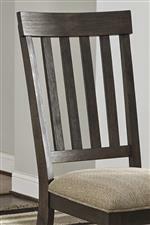 Made with acacia veneer and hardwood solids in a vintage wire brushed gray brown finish, it offers simple lines with a rectangular fixed table top and tapered legs. The Dresbar Rectangular Dining Room Table with Wire Brushed Brown Gray Finish by Signature Design by Ashley at Household Furniture in the El Paso & Horizon City, TX area. Product availability may vary. Contact us for the most current availability on this product. 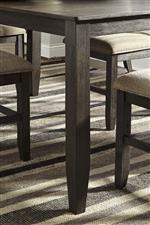 Classic style the fits well in a contemporary to traditional decor, the clean lines and wire brushed finish over acacia veneer and select hardwood solids will bring fresh style to your dining room or kitchen. The Dresbar collection is a great option if you are looking for Relaxed Vintage furniture in the El Paso & Horizon City, TX area. Browse other items in the Dresbar collection from Household Furniture in the El Paso & Horizon City, TX area.